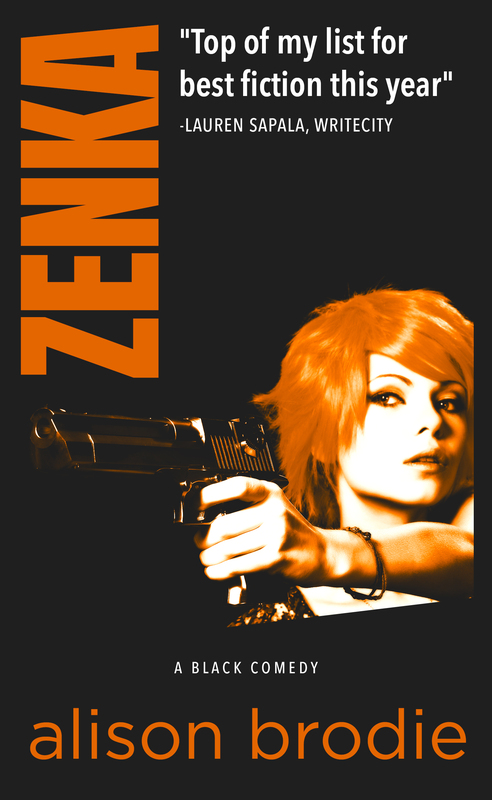 Today I have a review of Zenka from Alison Brodie who kindly sent me a copy of the book for review. Blurb: Ruthless, capricious, and loyal. Review: Having previously read Brake Failure and really enjoyed it, you can find my review here, I was excited when Alison contacted me asking if I was interested in reading and reviewing her newest book Zenka. Obviously I said yes, given this is a review of that book, and I am really pleased I did. This book was a joy to read. Zenka is an unstoppable force and I doubt many people would be able to say no to her. She’s fun and bright and brings the story alive, it leaps off the page because of her. The other characters are good, well-written and fit well with the story but this is Zenka’s story and it works because of her. The letters she writes home to a friend are brilliantly fun snippets that show another side to her and give more depth to her character. The mix of crime and romance is handled well and works (something that can’t be said for all authors) and the element of humour that runs through brings it all together like a perfectly baked cake. Brodie is an international, best-selling author. Her books have been published by Hodder & Stoughton (UK), Heyne (Germany) and Unieboek (Holland). Reviews for her debut, FACE TO FACE: “Fun to snuggle up with” –GOOD HOUSEKEEPING Pick of the Paperbacks. “Vane but wildly funny leading lady” -Scottish Daily Mail. Thanks! It might be an odd analogy but for me it sums it up really well.